ESQUIMALT, BC – Lighthouse Brewing has announced the return of a popular seasonal brand that has been slightly tweaked for its reappearance. This easy-drinking stout harbours real Madagascan vanilla beans to complement the rich roasted malt notes of chocolate and coffee. Well balanced with a hint of sweetness… all anchored by that aromatic African vanilla. New with this years’ brew is the addition of oats to add a rich body to this winter warmer. 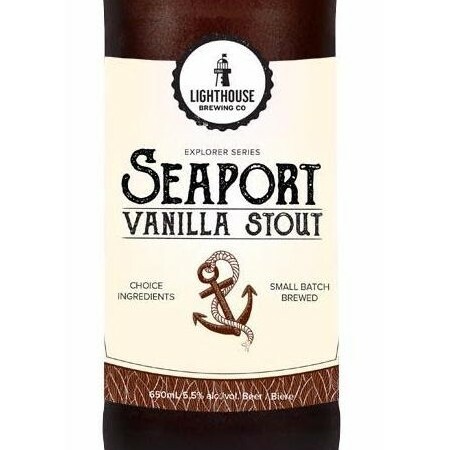 Seaport Vanilla Stout is available now in 650 ml bomber bottles, as well as in the Lighthouse Bounty Mixer Pack.